The views and opinions expressed on this page do not reflect those of the Center for Security Studies or the Swiss Federal Institute of Technology Zurich (ETH). In addition, neither organization is responsible for the content of external links. 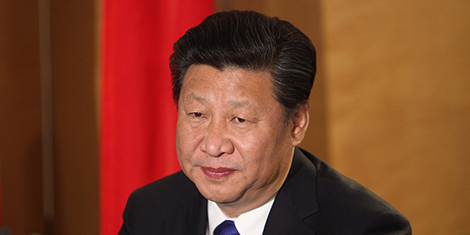 This analysis1 was originally published by the Elcano Royal Institute on 26 March 2019. 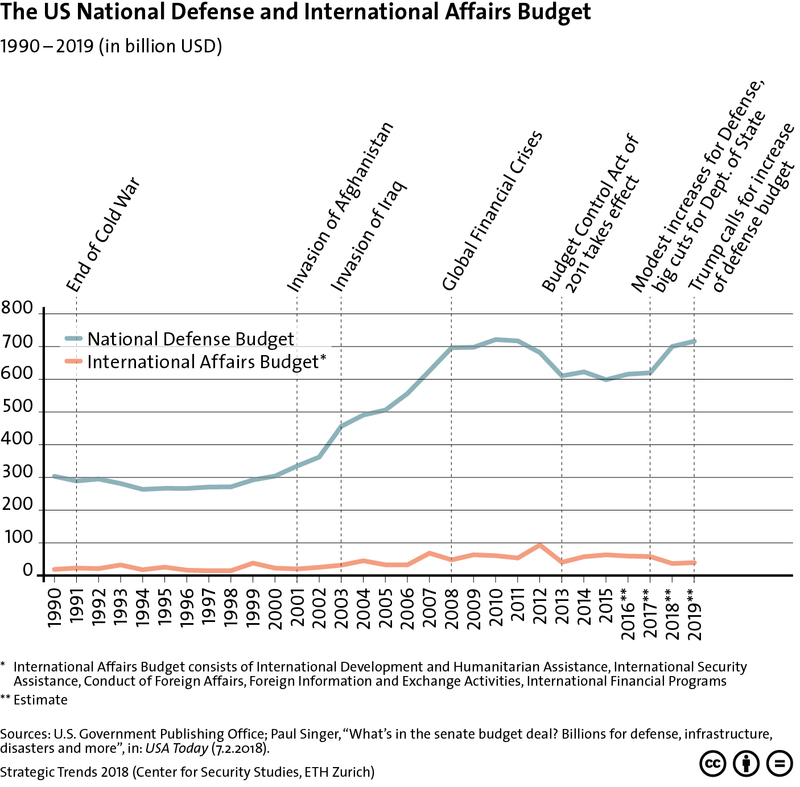 This graphic outlines the US national defense and international affairs budget from 1990-2019. To find out more, click here to read Jack Thompson’s Strategic Trends 2018 chapter on how the US is struggling to manage external challenges as well as domestic constraints, such as the underfunding and mismanagement of the military and diplomatic corps. For more CSS charts, maps and graphics on defense policy, click here. This article was originally published by the Peace Research Institute Oslo (PRIO) on 21 March 2019. 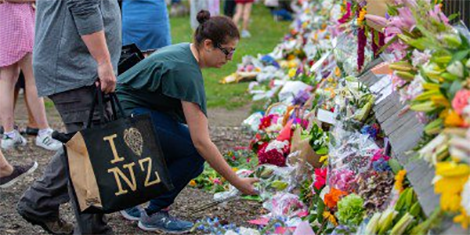 Known as one of the safest and most isolated countries in the world, New Zealand has experienced its darkest day, a terrorist attack perpetrated by a lone gunman against Muslim citizens in Christchurch in two mosques during Friday prayers. For us, in this antipodean part of the world, it is our 9/11 reckoning. ‘This is not us,’ is the resounding response across New Zealand (NZ) since the March 15th attack. This article was originally published by War on the Rocks on 3 April 2019. Russia’s annexation of Crimea and its intervention in Eastern Ukraine demonstrated not only its unpredictability but also its willingness to violate agreements and use force to alter borders and destabilize countries in its neighborhood. These events not only shocked the West; they also shook Russia’s allies to the core, not least Belarus. Long branded as “Europe’s last dictatorship,” this Eastern European state is considered Russia’s staunchest ally. 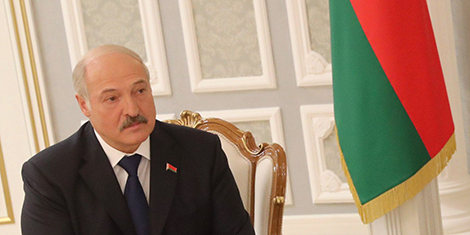 And indeed, no country is culturally closer or politically, militarily, and economically more integrated with Russia than Belarus. Image courtesy of The White House/Flickr. This article was originally published in The Strategist by the Australian Strategic Policy Institute (ASPI) on 21 March 2019. 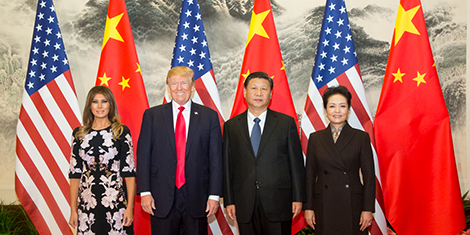 Today’s debates on whether US–China relations are deteriorating towards a ‘new cold war’ often involve disagreement over the extent to which there’s an ideological dimension to this competition. By some accounts, it’s purely about power and security, resulting from the historical inevitability of rivalry, if not outright conflict, between rising and ruling powers near a moment of transition.